A monstrous fire engulfed Paris' iconic Notre Dame Cathedral on Monday evening, toppling its spire and causing extensive damage to one of the world's most historic and recognized buildings. The 12th-century Gothic cathedral was undergoing renovation work, which local media cited as one potential cause for the fire. The 93-meter (305-foot) spire and roof collapsed. Police said there were no reported deaths, but one firefighter sustained injuries. Authorities said the around 400 firefighters on the scene were able to largely extinguish the fire by early Tuesday morning. Paris fire service said the cathedral's two gargoyle-studded rectangular towers have been saved. Fire department authorities confirmed that the main structure has been "saved and preserved." A part of the vault collapsed and only a section of the interior was destroyed. Many priceless artworks and cultural relics, including the crown of thorns believed to be from Jesus Christ's crucifixion and the tunic of sainted early French king Saint Louis, were saved. Investigators are treating the cause of the fire as an accident, currently ruling out arson or terrorism. Police evacuated the Ile de la Cite island in central Paris, where the church is situated. French President Emmanuel Macron canceled a major speech and wrote on Twitter before arriving at the scene: "Our Lady of Paris is in flames. A whole nation is emotional. My thoughts are with all Catholics and all in France. Like all our compatriots, I'm sad this evening to see this part of us burning." Macron spoke of the cathedral's huge cultural and historical value as he addressed reporters in front of the still-burning landmark. "Let's be proud, because we built this cathedral more than 800 years ago. We've built it and, throughout the centuries, let it grow and improved it. So I solemnly say tonight: We will rebuild it together." 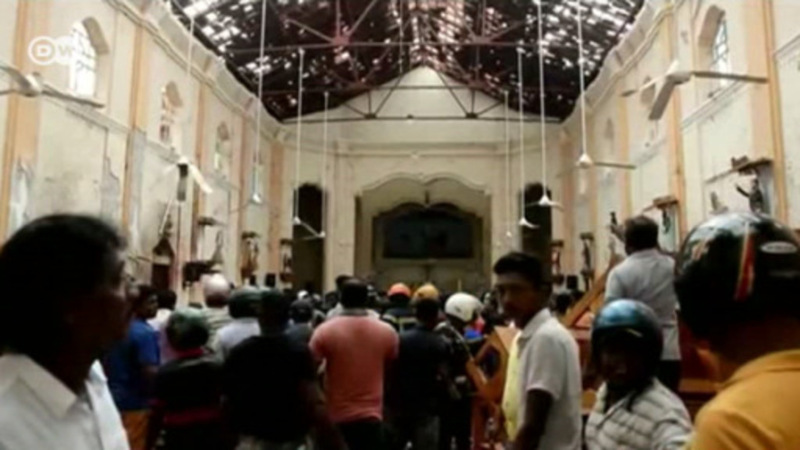 He vowed to launch an international appeal for the restoration of the cathedral. The 12th-century building, immortalized in the novel The Hunchback of Notre Dame, was undergoing renovation work due to "deterioration of structural elements." In 2012, the Archbishop of Paris and the Diocese of Paris founded "The Friends of Notre Dame" to raise funds to fight the problem, with renovation and repair efforts ongoing. Michel Picaud, president of the foundation, told France 24 in 2017 that the costs were "estimated at a total of €100 million." "There is no part of the building untouched by the irreparable loss of sculptural and decorative elements, let alone the alarming deterioration of structural elements," said the foundation. DW will continue updating this story as it develops. French President Macron has pledged to rebuild Paris' fire-ravaged cathedral within five years. Brent Goff asks Wolfgang Zehetner, chief restoration architect for Vienna cathedral, whether the iconic landmark can be restored in that time. After the devastating fire that engulfed Notre Dame, inspectors are assessing the cathedral for safety and security issues. Prosecutors are certain that the cause of the fire was accidental, but want to know what exactly sparked it.